Product Consists : Hanging Heart with Couple Teddies (Approx Size: 7.5 Inch) with I Love You Alphabet Chocolate and Love Greeting Card. 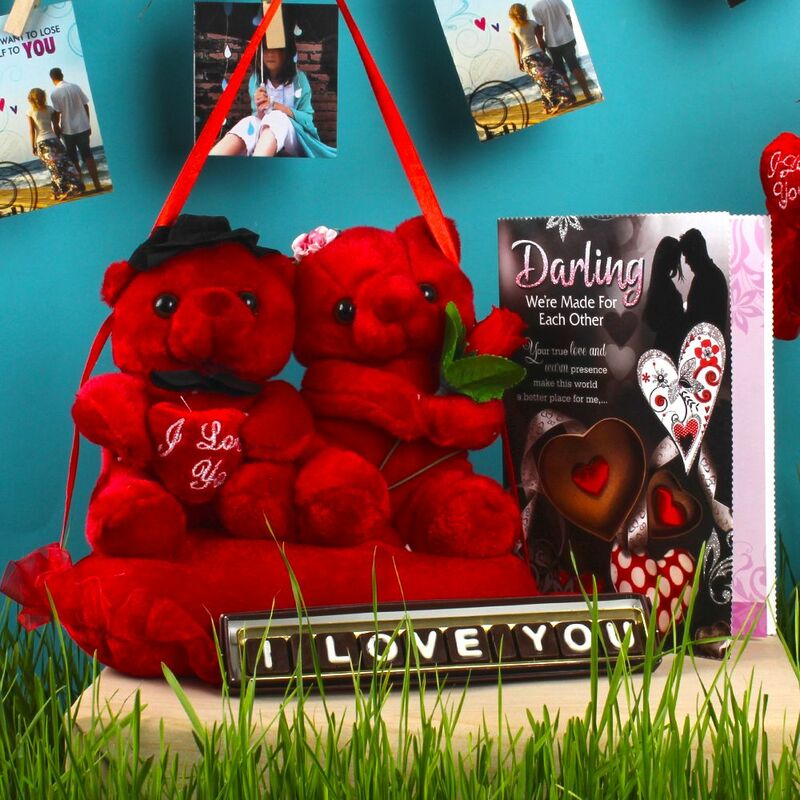 The amazing cute teddy couple on a pink heart shaped hanging will be a perfect gift to someone special on any occasion as it doubles the joy with its presence. The red heart shaped cushion has been made by soft material and is hanging by red ribbons that have been beautifully tied with a flower. 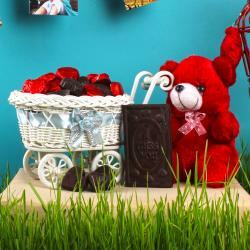 At the vertical edge of the hanging red heart also, there couple teddies one teddy sit with holding heart with tie bow. and hat and other teddy with red roses. Red rose which looks even more gorgeous and completes the look of the showpiece. 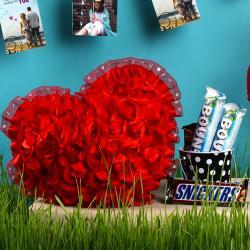 Make Valentines Day celebration special by gifting this exceptional Chocolate bar with icing of I Love You. 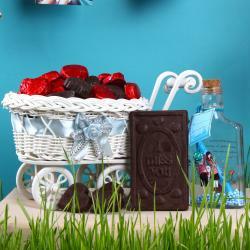 This hamper also includes a love greeting card with romantic message on it. If you want to present a special gift to your beloved one then this one will be a great option as it will be cherished by her for a lifetime. Product Consists: Hanging Heart with Couple Teddies (Approx Size: 7.5 Inch) with I Love You Alphabet Chocolate and Love Greeting Card.